As mums, baby wipes are an everyday essential, but they can contain some fairly harsh things that we’d rather not put near our baby’s skin. WaterWipes contain 99.9 per cent purified water, and 0.1 per cent fruit extract, so they are the purest baby wipes in the world. But do they actually work? We asked a group of Babyology mums to test them out, and here’s what they thought. Used by neonatal units around the world, WaterWipes are the supreme wipe when it comes to avoiding irritation on sensitive baby skin. We asked some Babyology mums to put WaterWipes to the test with their own babies. Those mums who had children already suffering with nappy rash found that using WaterWipes did help clear the irritation. And, as a bonus, when they used WaterWipes on the dry skin on their babies’ hands and faces, it also seemed to improve. The mums gave the quality of WaterWipes a big thumbs up. They particularly loved the thickness and softness, with a majority giving the wipes five out of five for moisture. Most importantly, every one of the mums surveyed said they felt WaterWipes worked well in cleaning their baby’s skin. They agreed they’d be willing to pay a little more for WaterWipes, knowing they are not harmful to baby’s skin, help avoid nappy rash and don’t contain any nasty chemicals. 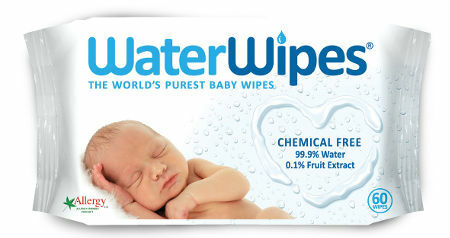 You can purchase WaterWipes online, or from several retailers.